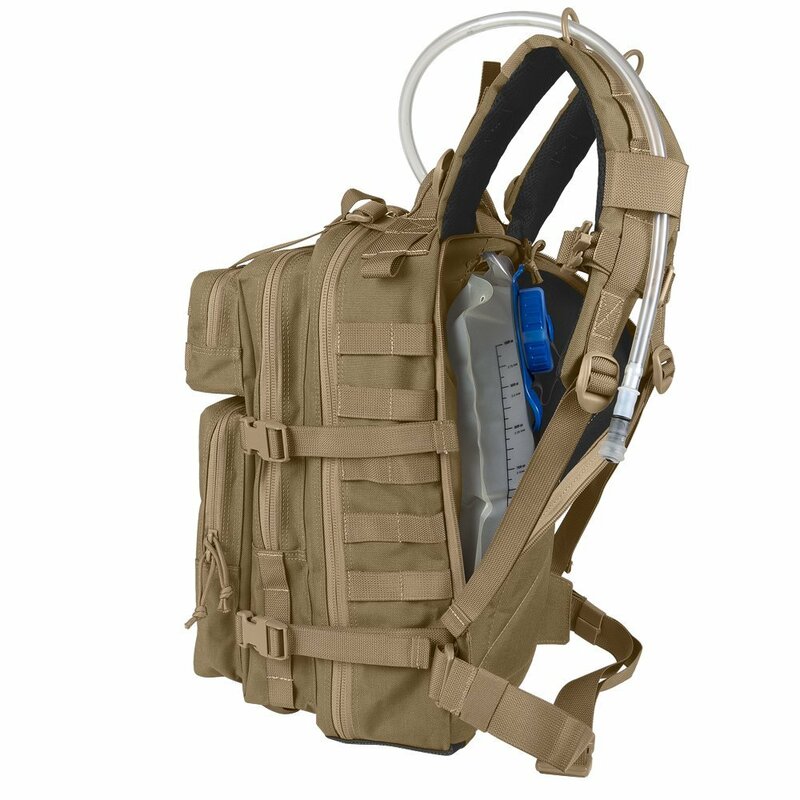 The Maxpedition Falcon II Backpack has seen a lot of improvement if compared with its previous generations. The upgrade has beautifully enhanced the overall looks and appearance of this backpack. Now more comfort will be on the board without compromising on the durability and other factors. 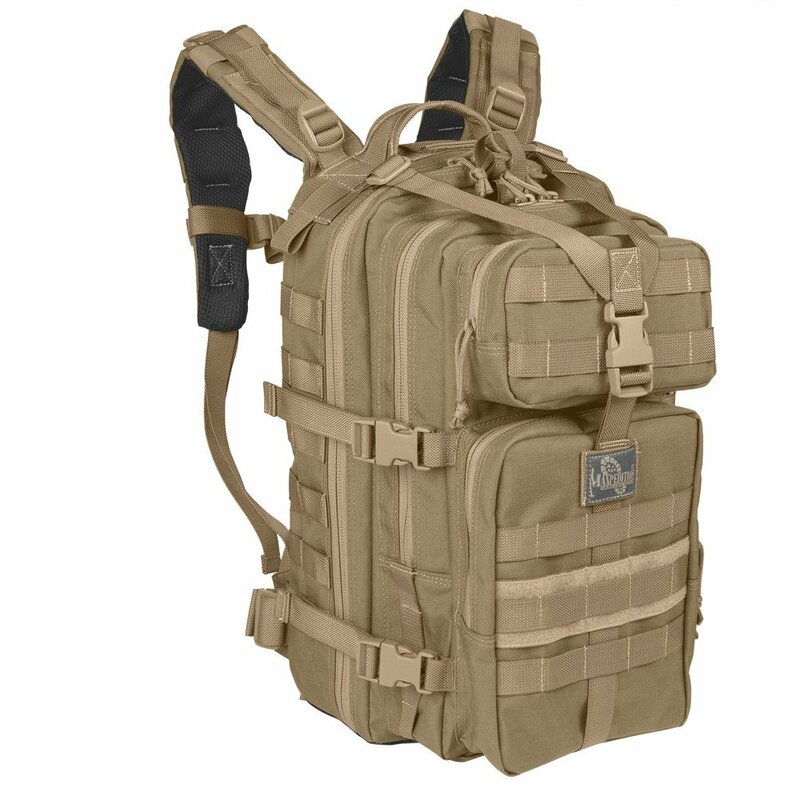 It is simply one of the best military backpacks featured with several compartments, additional storage facility and multiple internal pockets. One cannot find a bag better than this one at the amazing price. Falcon II is an industry leader as many manufacturers have tried to offer replicas at quite lesser prices but in vain. A detailed Maxpedition Falcon II Backpack Review for everyone to take a quick decision on whether or not to buy it. Falcon II backpack is a versatile pack and all thanks to its superb designing. This bag has been constructed with 1050 Denier ballistic nylon that is perfectly shaped to offer utmost comfort. Though the shoulder straps are padded, it keeps the person delighted during the whole journey making it easy to move around. Also, the braces are manufactured of breathable mesh that simply enhances breathability. The teflon fabric keeps the bag away from any kind of spillage and staining thus keeping the color intact. The customer will be stunned to see the number of storage compartments specially constructed to keep small items safely. 5 internal slip pockets are embedded on the front, 2 zippered pockets designed one on the top and other near the bottom. Also, there are 2 drainage grommet ports that are just incredible. Then 2 mesh pockets are there on the front and back of the bag including seven compression straps to expand the backpack while on a move. Falcon II is available in colossal range of colors viz. Black, Foliage green, Khaki, Safety yellow, OD green, Fire-EMS Red, Orange-Foliage and Royal Blue Foliage. No other brand offers this range of colors so it would be an ideal purchase as the customer can buy his/her favorite color. Falcon II has been designed keeping the comfort factor in mind. Curved and foam padded shoulder straps have been crafted to offer contoured fit whilst keeping the sternum and waist fully supported towards the center. 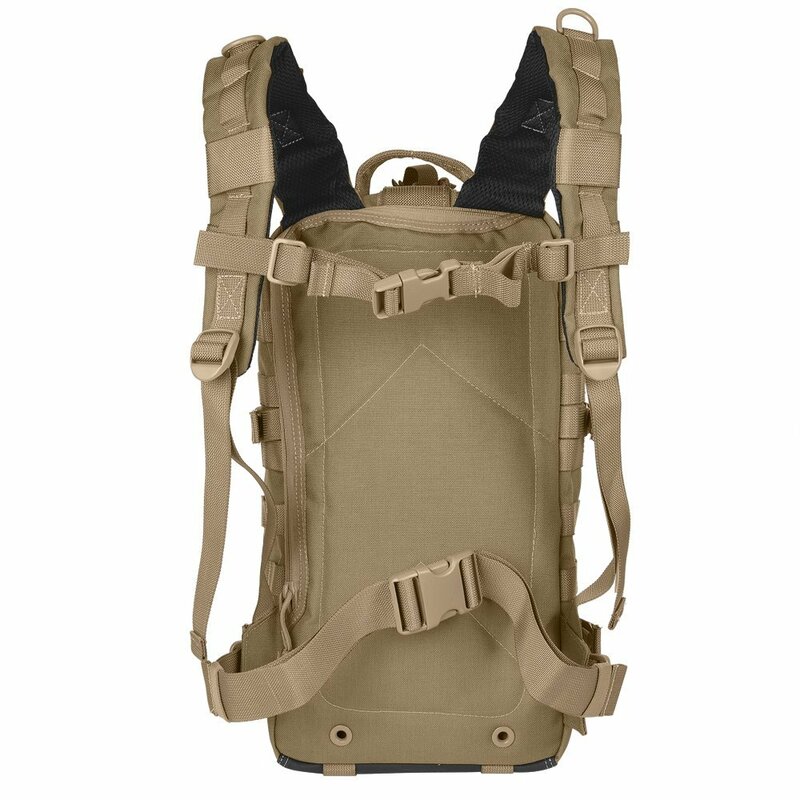 Though the weight on all the three areas of the shoulder is evenly dispersed, this molle backpack can be worn comfortably throughout the journey. Plus, the high-grade foam padding adds an extra layer of relief for the back and keeps the belongings safe inside. Due to it having a number of compartments and internal pockets, it offers abundant space to keep camping gear, textbooks, CCW, water reservoirs inside. Even laptops can be brought along while one is moving for a night camp. Q: What kind of bag is this? A: It is a multipurpose military backpack ideal for night camping. Q: When can it be used? A: It can be used for hunting, trekking and hiking purposes. Q: What are the dimensions and weight of this bag? A: The dimensions are 9″(L) x 10″(W) x 18″(H) and its weight is 3 pounds. Now coming to the conclusion of Maxpedition Falcon II Backpack Review, I would like to say that it is a worth buying product. Packed with lots of exciting features, it can be a great choice for all the camping lovers. Falcon II will actually help optimize the space well and can stand various things nicely. This bag is commendably durable owing to its nylon material. One can never find such a bag as it is ergonomically comfortable. Plus, the designing features make it stand out from the other brands that offer cheap and knock-off bags at lower prices. Go-ahead for this bag guys!! Have a good day.